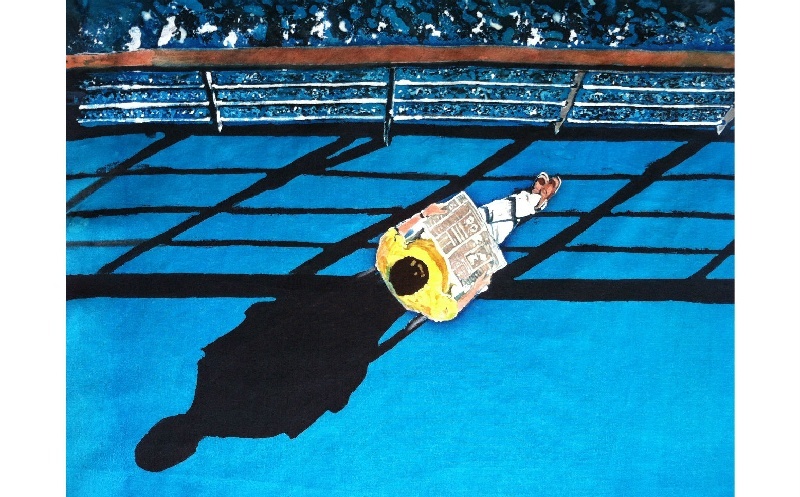 A batik painting of a man reading a newspaper on the deck of a cruise ship. 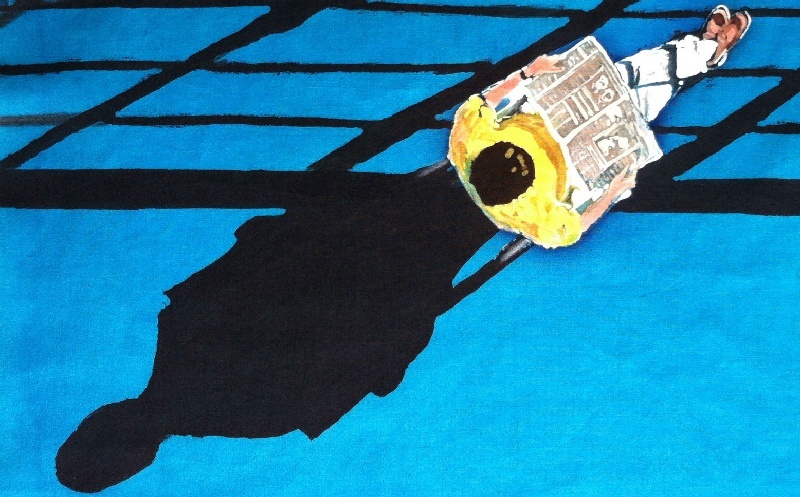 I produced this painting for an exhibition entitled 'Slow'. The trouble is that life these days is too much in the fast lane. No-one has time to slow down and appreciate nature and things around them. I saw this photo in a magazine and thought I could adapt it to the title. After all, one of the slowest means of transport is by a cruise ship, and here is a man relaxing, with time on his hands, reading his newspaper on the deck of the boat.